Since launching in February 2018, Plastic Free Noosa has eliminated more than two million single use plastic items from use. 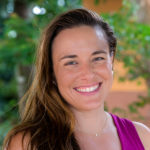 Christina Cannes chats to Noosa Boathouse to find out more about what it’s like to be a Plastic Free Champion. How has becoming a member of Plastic Free Noosa (PFN) changed how you run your business? It really makes us look carefully at the products we use at Noosa Boathouse and how they affect the environment. Being a business right on the river, we have a responsibility to ensure we care for the natural environment and its inhabitants that we’re so lucky to be surrounded by. 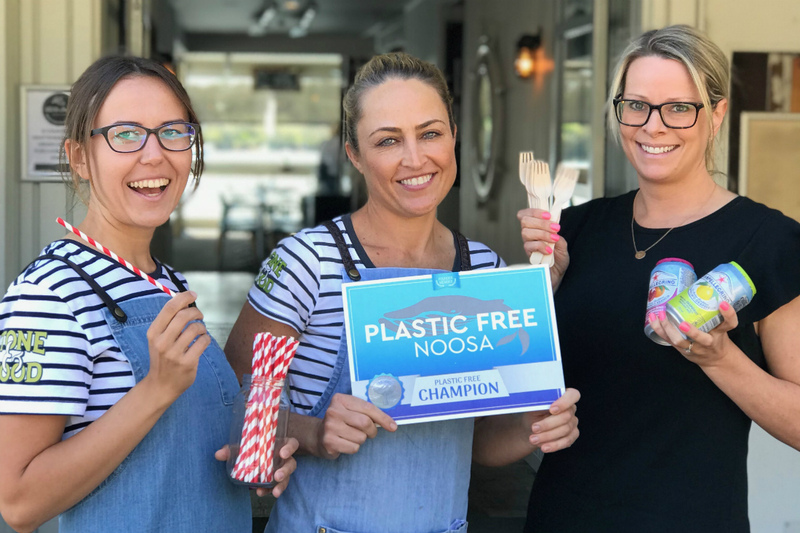 When Chad approached us about becoming a member of Plastic Free Noosa, we had already begun the process by completely removing plastic straws and replacing them with paper. Since becoming a member, we have replaced all soft drink plastic bottles in our fish & chips takeaway with cans as this was our biggest area for improvement. We don’t use plastic bags, only paper; our disposable cutlery is made from bamboo and takeaway containers are cardboard. What would you say to other businesses who haven’t joined? Being a business in Noosa, we are so lucky to operate in a Biosphere Reserve and we all need to be accountable for our impact on the environment. 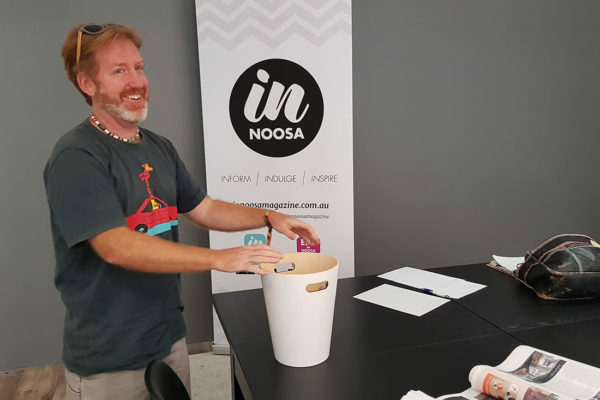 I’d highly recommend other businesses to join Plastic Free Noosa so we can reach the target of making Noosa completely plastic free. Chad from PFN comes out to assess your business and it’s so simple to do. It just requires you to look at what products you need to change, then contact suppliers to see what alternatives they have available. It’s not hard to source these types of products and Chad is great at recommending alternatives if your current supplier can’t. What else have you done to reduce waste since becoming a Champion? For the last five years, we’ve used a great compost system for minimising our food waste. Our staff separate general kitchen waste from compostable food scrap waste into specially marked bins. Twice a week, Val a local farmer, comes to collect ten 20L buckets of food scraps and coffee grounds to use in her state-of-the-art compost system. This allows us to divert up to 20 tonnes of food waste from landfill per year. We also give our raw fish offcuts to “The Pelican Man” who comes a few times a week to collect them. He then goes down to the boat ramp where he feeds the pelicans and also checks them for fish hooks and any other issues they might have. Last year we changed our restaurant sparkling mineral water from 500ml plastic and 1L glass San Pellegrino bottles to the Vestal sparkling water system on tap. This allows us to use refillable glass bottles with Sparkling chilled water from the carbonated system installed in our bar. We now have zero waste from our sparkling mineral water sales in the restaurant. Anything else you’d like people to know about reducing waste or PFN? There are so many ways we can make a difference and it just requires us to change the way we think and look out for better alternatives. If businesses make even a small effort, every little bit helps, so get onboard if you’re not already! Noosa Triathlon removed all plastic cups for competitors and replaced with compostable cups. For more information, visit www.noosaboathouse.com.au or www.plasticfreenoosa.org.